Postcard featuring a black and white Boston terrier on a sunburst background with orange grunge stars. 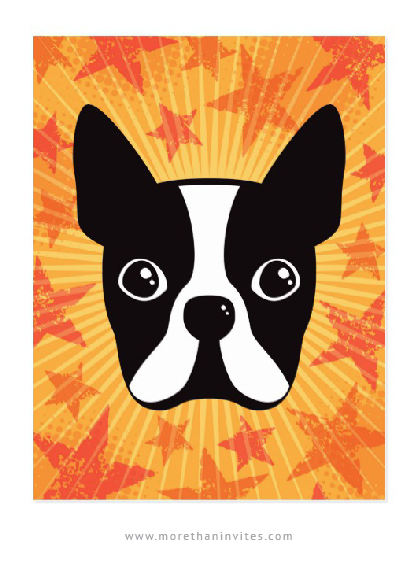 Fun postcard for Boston terrier lovers. Available from Zazzle.